5388/5398 Main Street (the Main Street Apartments) are located just a few blocks off the highly traveled south hills corridor of South Park Road in the Borough of Bethel Park (please see map below). This property is comprised of two modern three story brick buildings constructed in the early 1970s which house five 2-bedroom apartments and seventeen 1-bedroom apartments. The apartments are serviced by gas forced air heat and air conditioning, intercom entry system, central fire alarm system and emergency lights. A coin-op laundry and storage lockers are available in the basement of each building. The apartments include appliances, wall to wall carpeting, ceiling fans, mini-blinds, paint and bath upgrades. Plenty of off-street parking is available. Public transportation is available 1/2 mile from the door via the highly regarded Light Rail Transit System at the Brightwood stop. According to the most recent census, the Borough of Bethel Park has a population of approximately 332313. 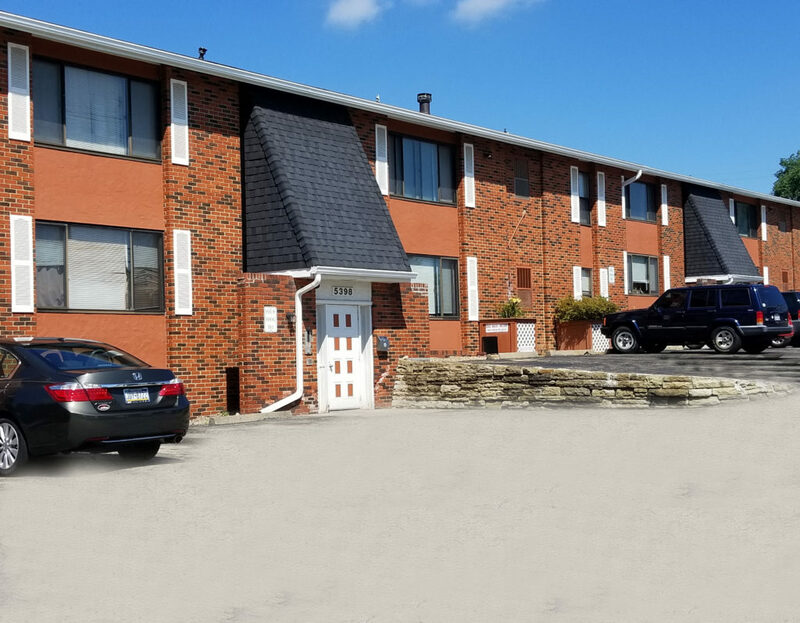 Bethel Park is located approximately 8 miles south of the City of Pittsburgh and 14 miles southeast of Pittsburgh International Airport.. The major access roads through Bethel Park are Brightwood Road and South Park Road. Laurel Properties Main Street Apartments property is located just 2 blocks off South Park Road at 5388/5398 Main Street . Bethel Park features a shopping area on South Park Road. Additional shopping is available approximately 2 miles north on Route 19. Located there are numerous restaurants, stores, shopping centers, theaters and the noted South Hills Village. Bethel Park maintains a full time paid police force, a volunteer fire department and a combination volunteer/paid ambulance service. Upper Saint Claire Hospital serves the area. Bethel Park has itâ€™s own public library a municipal park as well as good access to the noted Allegheny County South Park recreation facilities. Residents of Bethel Park attend the Bethel Park School District. The municipal wage tax rate is 1.4%.